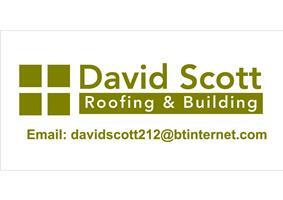 David Scott Roofing & Building - Builder, Roofer based in Kirkcaldy, Fife. Customer satisfaction is 100% essential to David Scott and carrying out the contract to the highest standards. The customer will receive a fully detailed quotation including pictures of the work that is going to be carried out.